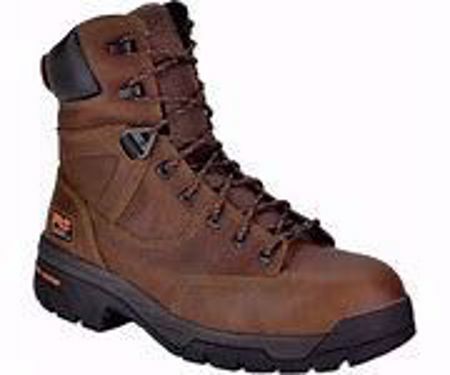 The Timberland PRO Helix 8 Inch Waterproof Composite Toe Work Boot 87566 is made from a long wearing waterproof leather upper, and comes armed with an ASTM rated composite safety toe. inside this boot will be anti-fatigue technology to help you keep going while the outsole will maximize your traction with an oil resistant, heat resistant, and slip resistant outsole. Get things done with a pair of Timberland safety toe work boots.